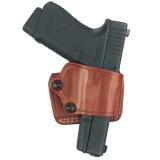 The belt holster is a very convenient way to carry, which is why it is the most popular style for anyone with a firearm. 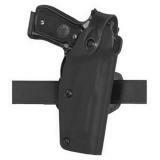 It places your weapon at the hip, making it easy to reach and draw. 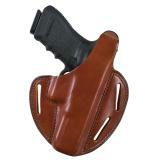 Depending on the individual model, belt holsters can be carried in many different positions, including strong-side, crossdraw and appendix carry. 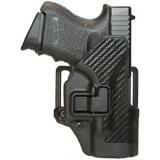 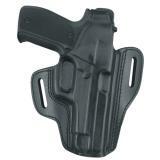 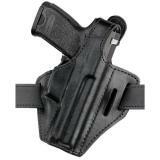 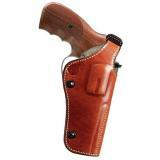 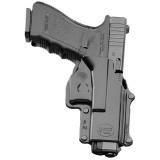 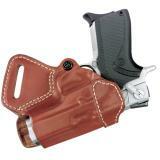 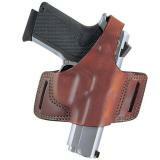 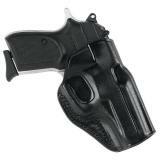 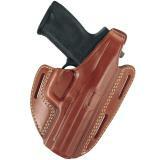 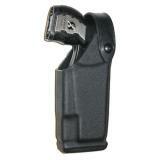 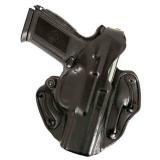 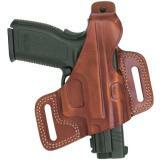 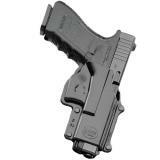 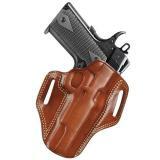 At CopsPlus, you can find holsters for a variety of applications, including duty holsters and tactical holsters. 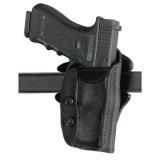 Our selection includes holsters for pistols and revolvers, including those with underslung weapon lights, as well as electronic discharge weapons. 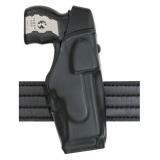 We sell belt holsters from some of the world's most trusted manufacturers, including Safariland, Bianchi and Fobus. 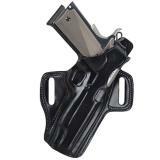 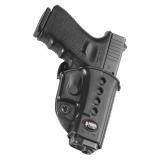 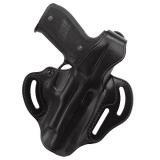 Belt holsters can be designed for overt or covert wear, and attach to the belt in a variety of different ways. 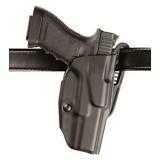 Wide-set belt slots provide a very secure and stable fit, while snap-fastened belt loops make it easy to take the holster off without removing your belt. 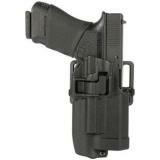 Holsters designed for open wear often feature dedicated active retention systems, ranging from traditional retention straps and thumb breaks to more advanced automatic locking mechanisms like the Safariland Automatic Locking System (SLS) that automatically secure a holstered firearm. 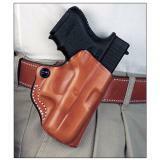 Concealable holsters are typically designed for a lower profile, making them easy to hide underneath clothing, and typically come with fewer retention features. 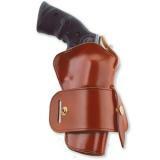 The leather holster is a traditional option that remains popular for its durability and comfort, but holsters made from other materials are also common, including nylon, polymer and designs made from more exotic hides. 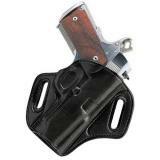 Our collection of belt holsters contains models to suit every budget, from designs that offer high performance at a low price to cutting-edge styles made from advanced materials and equipped with the latest technology, from manufacturers such as Galco, DeSantis, Blackhawk. 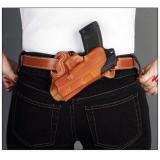 When buying belt holsters online at CopsPlus, don't forget that all of them are backed by our low price guarantee.